DiWulf Publishing House is very excited to announce a new member of the family: Marc Wasserman. Marc is embarking on his passion project: constructing an oral history of the American Ska scene and its place in American subculture. Marc, who has been collecting stories and researching histories for some time now, is currently in the process of putting all the material together. The as-yet-untitled book will be told through the recollections and anecdotes of the people who lived it: the musicians who were heavily influenced by the 2-Tone stuff from the UK, the historians who documented and supported the scene from its infancy, the bands that made music and toured relentlessly, and the fans who fell in love with the American counterpart of a beloved British subculture. 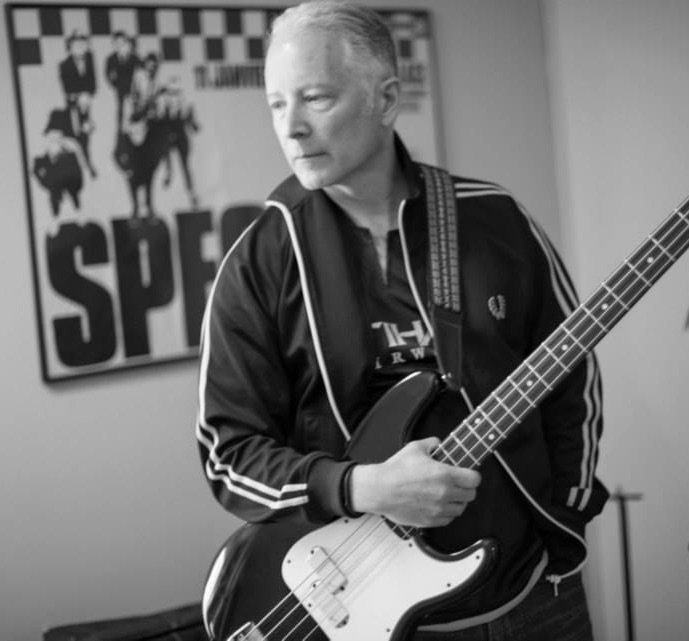 Marc, a New Jersey native, has been playing bass in the band he co-founded decades ago: Bigger Thomas. Bigger Thomas, who were originally known as Panic!, hold the prestigious distinction of being the first Ska band from New Jersey. These days he splits his time between his latest outfit, Rude Boy George;; a band that re-imagines '80s hits in Ska and Reggae formats, and keeping up with his highly-regarded blog Marco on the Bass. In keeping with DiWulf's family tradition, Marc has long-standing ties with both Amy and Steve, DiWulf's founders. Marc was a big contributor to Amy and Steve's first book: No Slam Dancing, No Stage Diving, No Spikes: An Oral History of the Legendary City Gardens. Marc was a veteran of New Jersey's most infamous punk club, and the relationship he forged with promoter Randy Now has been a long and fruitful collaboration that lasts to this day. It was a natural fit for his first book to be published by DiWulf and it is a bit of a homecoming for both publisher and author. Marc's book plans to cover the years 1979-1986 and will focus on both well-known names like The Toasters and Bim Skala Bim, as well as smaller regional scenes and the Ska bands those scenes produced. Right now he is in the earliest stages of gathering material and research. DiWulf is looking towards the end of 2018 as a tentative release date. Marc's book and his alliance with DiWulf illustrate the publisher's devotion to working with and giving voice to first-time authors as well as reinforcing the company's dedication to celebrating and preserving subculture in all its eclectic forms. DiWulf is, first and foremost, a family, and having Marc aboard is a natural fit for both author and publisher.